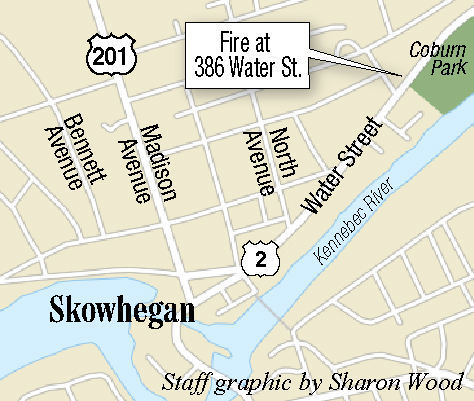 State fire investigators planned to interview people Monday about the fire, which was reported at 11:31 a.m. Sunday at a 6-unit building at 386 Water St.
SKOWHEGAN — The state Fire Marshal’s Office continues to investigate the cause of a fire Sunday that damaged a six-unit apartment building on Water Street and sent one person to the hospital with burns. 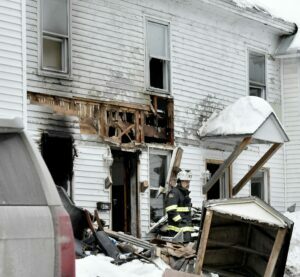 “Right now, it’s left undetermined,” Skowhegan fire Chief Shawn Howard said Monday of the fire’s cause. He said state fire investigators planned to do follow-up interviews and were hoping to do that Monday. He said that the fire, which started in a first-floor apartment, caused significant fire damage to three apartments in the building at 386 Water St., and three apartments received minor smoke damage. People were in the first-floor apartment where the fire started, when it started, according to Howard. He said the injured male was taken initially to Redington-Fairview General Hospital in Skowhegan and then transferred to another facility. Another person escaped the building from a second floor apartment window, he said. Howard said that, because of privacy laws, information about his condition is not available. “I don’t have any updates on him,” he said. Howard said he wasn’t sure how many people lived in the building, and he did not think the Red Cross provided them places to stay — they were staying with friends or family. The building, owned by Joe Wyman, is very old, according to Howard, who said it was built prior to 1900. He said he believes the building is insured. “If he can isolate the three apartments that were damaged, he should be able to get the tenants back in the other apartments,” Howard said. 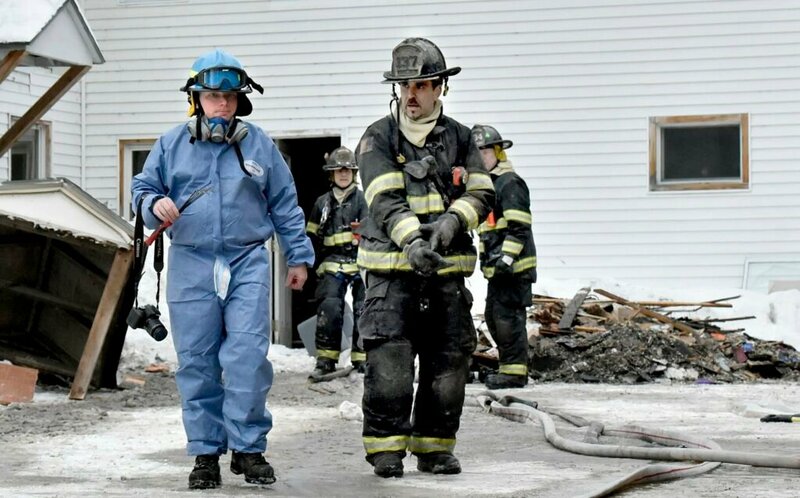 The fire was reported at 11:31 a.m. Sunday, and between 35 and 40 firefighters from Skowhegan, Madison, Canaan, Norridgewock and Fairfield responded to the scene. Fire was showing from the building when firefighters arrived. Skowhegan police and highway department workers blocked Water Street to traffic. Howard, who was at the scene, said firefighters cleared the building around 4:30 p.m.
A call placed to the fire marshal’s office Monday was not immediately returned. The building is located across Water Street from Coburn Park.